Who has the right to write about Africa and tell the continent’s story for its multifaceted nature, from languages to cultures to religious beliefs? In his essay, ‘Colonial Fictions: Memory and History in Yvonne Vera’s Imagination.’ Paul Zeleza wrote: “Nowhere is the multidimensional, multifocality and multivocality of twentieth-century African literature more evident than in the postcolonial generation of writers born after 1960…” Noo Saro-Wiwa (travel writer and daughter of the late Nigerian human rights activist, Ken Saroo-Wiwa), Nii Ayikwei Parkes (Ghanaian writer), Binyavanga Wainaina (Kenyan writer) and Helon Habila also Nigerian, bring this point to life with their contributions to the ever evolving narrative of the continent’s literary landscape. 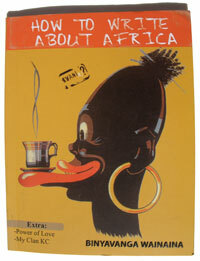 Wainaina’s essay, ‘How to Write about Africa’, published by Granta in 2005, famous for its satirical mockery of western representations and one dimensional stories of and about Africa, set the literary world alight and forced many to question why Africa was still being painted as the hopeless continent, devoid of potential and humanity but heavily indebted to the west for its provision of aid. 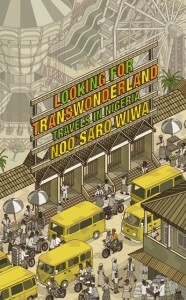 Hence, it does not come as a surprise that all three writers, Saro-Wiwa (Looking for Transwonderland: Travels in Nigeria) Parkes (The Makings of You), Wainaina (One Day I Will Write About This Place) present us with stories that explore the varied narratives and nuances about their birth countries. While Habila, editor for (The Granta Book of the African Short Story), brings together writers and stories, which explores narratives of African and African Diaspora experiences from the post colonial generation. As writers, they write with confidence, knowing they have the right to do so, as aptly put by Saro-Wiwa. I asked during her London book launch which turned out to be an interesting session of discussion on Nigeria, if she felt she had the right to tell the story of and Nigeria like she had. “I absolutely have the right and everyone has the right. I chose and I’m passionate about travel writing. I knew it was an original genre and you don’t have that many Africans, writing aboutAfrica. I’m in a really privileged position and lots of Nigerians would disagree with my opinions but you know, I have a right to say what I want to say. Readers have to remember this is Nigeria through my eyes. I’m not presenting it as absolute truth. I’m writing as a diasporan Nigerian.” Together, these writers bring you a sense of place and belonging through their individual and diverse experiences of home. Note: This review was first published in Wings Magazine, Issue 10, March-May 2012. 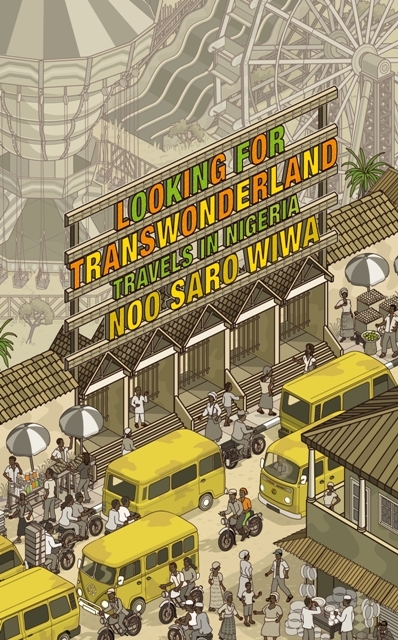 This entry was posted on Thursday, June 7th, 2012 at 3:54 pm	and is filed under Africa, African Diaspora, Art and Culture, Book Reviews, Journalism, Nigeria. You can follow any responses to this entry through the RSS 2.0 feed. You can leave a response, or trackback from your own site.